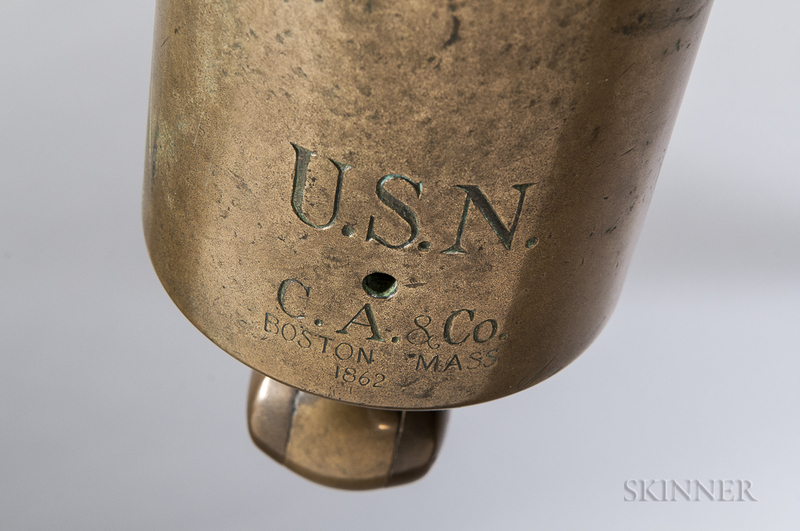 Cyrus Alger Signal Cannon, c. 1862, bronze cannon marked near the breech "U.S.N./C.A. & CO./BOSTON MA/1862," mounted on an oak stand, bore dia. 1 5/8, barrel lg. 21 1/2, overall ht. 47 in.